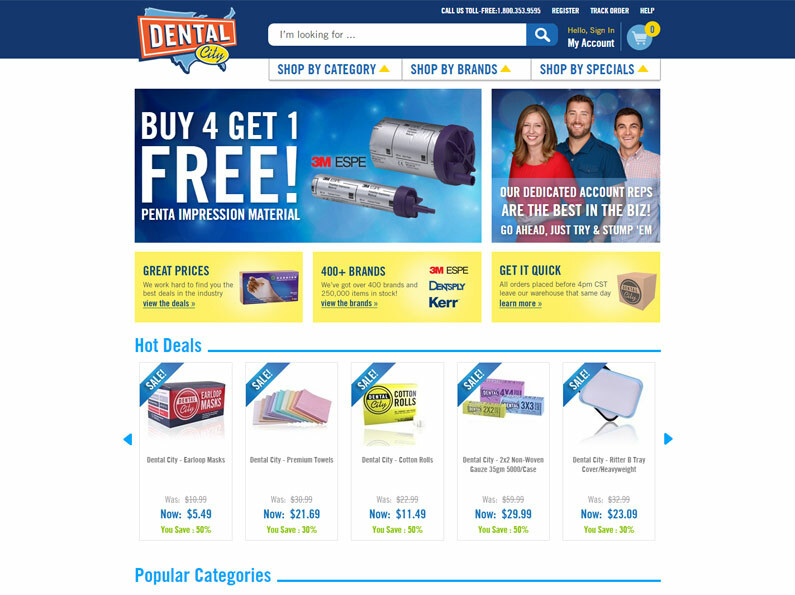 The New Dental City website is live! This website is a “game-changer” that will set Dental City apart in a very competitive e-Commerce / Customer Experience world. It showcases responsive design of an e-Commerce store. One of the main goals of this website is to increase the amount of current customers ordering on the web and to also attract new customers. With this website redsign my role has been updating the design, including adding landing pages, and testing across all devices and browsers.